Thank you for posting the link. I've been watching the Discovery Channel and I've seen the new museum being built from the ground up. It's going to be one of the best places to see Egyptian items, especially King Tut's private burial and other treasure from his tomb. From what I've seen, it's going to have a separate but attached conservatory building next to the museum so that they can be available and ready in case they have an item that needs to be cared for. It's going on my bucket list for sure! If anyone is planning on going to see this museum, I'd love to see the pictures! It's going to be amazing! That's a very interesting article, RedFlower! 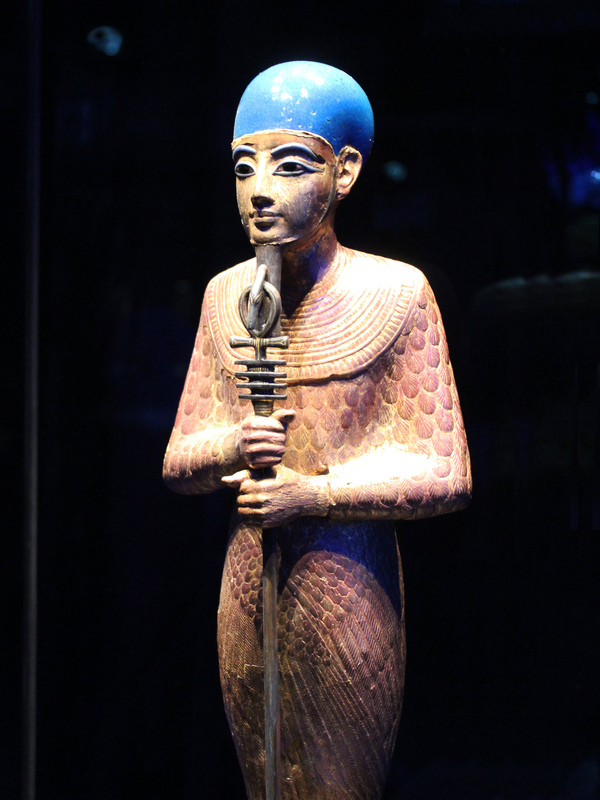 I was lucky this week to see the Tutankhamun exhibit at California Science Center, and noticed all of the pieces have new accession numbers, and are now belonging to the Grand Egyptian Museum. You're welcome for the article! I was wondering if anyone here has recently visited Egypt? I would love to take a vacation to Egypt, but it's too dangerous right now? This is going to be so amazing. I want to go when it's complete! This looks incredible!! What an exciting trip it would be to go see this! Neheh, that statue is beautiful, wow. That staff/scepter is really awesome too.